If you are a dedicated reader of Niche Pursuits, you'll know that we talk quite a bit about Spencer's growing Amazon FBA business. While there are plenty of other FBA sellers doing bigger numbers, I think we can all agree that Spencer's $60,000+ per month in revenue is nothing to sneeze at. Before I get into the details, let me first share a short summary of my background with Amazon FBA. In 2012-13 I was working full-time, and as I often did I was looking for ways to make extra money on the side. I already did some of my shopping on Amazon, but I wasn't really aware of their FBA program and what it actually meant. I discovered that I could find products at local stores, send them into Amazon's warehouse, and then sell them on Amazon's site for a profit. I actually had some success with this and made a few thousand extra dollars doing it. Fast forward to today and I'm now spending much of my time managing Spencer's Amazon business. I've learned quite a bit about coming up with product ideas, finding manufacturers, getting samples, and ultimately launching products on Amazon. In addition, I've got several of my own products selling on Amazon which is quickly turning into a nice side business for myself. I'll admit that the entire process of launching a brand new product from scratch sounds simple on paper, but there is actually a lot to it. Fortunately, my experience with dabbling in retail arbitrage really gave me a head start on understanding the process of selling goods on Amazon, which has ultimately allowed me to take the next step and create brand new products/brands to sell. If you're still on the fence or just starting out, hopefully this guide will help you get rolling. FBA – “FBA” is an acronym meaning “fulfilled by Amazon.” In practical terms, this means that when you have a product to sell, you send it into an Amazon fulfillment center and they will store it and ship it for you when a customer buys it. You don't have to sell “FBA” to sell on Amazon, but there are some clear advantages to doing it this way which I'll discuss in a moment. 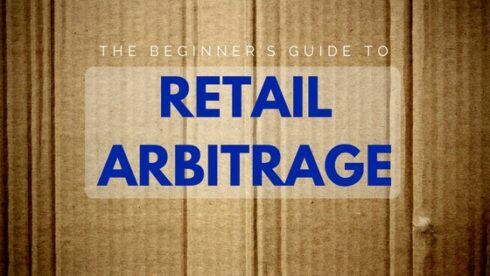 Retail Arbitrage – This is all about discovering and profiting from inefficiencies in the market. For example, if my local Target has a box of teeth whitening strips selling for $10 on clearance and that same time that product is selling on Amazon for $30 – I can buy it at $10 and sell it for $30 on Amazon and make a profit on the difference between those 2 numbers. Why Would Anyone Pay That Much? It's a fair question, but this is really what a market inefficiency is all about. Here are just a few reasons why people would (and do) pay more to buy on Amazon in certain situations. Prices/Deals Vary by Location. Just because a product is slow moving in a Target store in Ohio doesn't mean that someone in Oklahoma wouldn't be happy to pay retail price for that same item on Amazon. People Pay for Convenience. There is a reason Amazon did $105 billion in revenue last year. People like buying stuff from Amazon because it's (increasingly) fast and convenient. It is the default option for buying goods online, so some people would rather pay more and get it on Amazon without driving across town (assuming they even have a Target nearby), standing in line, wasting gas, etc. All Products aren't Available Everywhere. When you go on vacation and visit a Kroger store, you'll probably notice a bunch of brands of barbecue sauce, snacks, and other items that you've never seen in your local Kroger. That's because selection varies regionally, which means that someone who loves a product only sold in New York might be out of luck if they live in Nevada. There are a bunch of limited availability/regional products sold on Amazon at a premium because of this scarcity. While Amazon sells plenty of products on its own, third party sellers make up a big (and growing) chunk of their sales. Third party sellers sold about 2 billion items on Amazon last year, which represents 40% of all the goods Amazon sold. As a third party seller, you can really sell in 2 different ways – via FBA or by fulfilling orders yourself. In other words, you keep the inventory at your house or business and when sales come in you would ship out the orders to the customer. 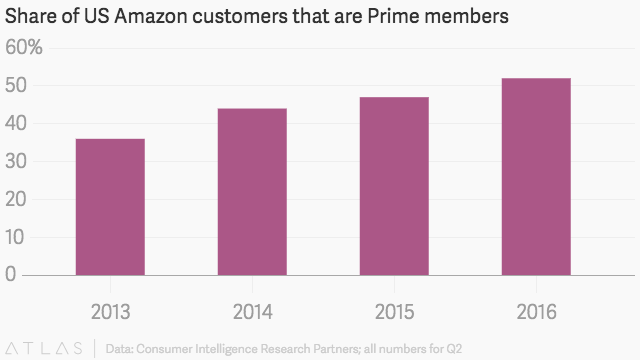 According to Quartz, those Prime members spend $1,200 per year on average, compared to only $500 for a non-prime customer. So by using FBA, you are tapping into Amazon's largest and best customer base. These customers will enjoy free two-day shipping, or in some cases be eligible for free next day shipping on YOUR products depending on where they live. In my experience, customers will absolutely pay more to buy from an FBA seller than they would to buy from a third party seller who ships their own orders. If they already pay for Prime, they trust that Amazon will deliver the item fast (and free) which means that they might pay $49 to get the item with Prime shipping instead of buying the same item from Al's Toy Barn (Toy Story reference) who is priced at $30 + $8 for shipping. In addition to the fact that you can typically charge more for your product when selling FBA, I also believe you can save money in the end. Let's say you go buy 25 items that you are planning to sell on Amazon. As a third party seller fulfilling your own orders, you'll have to ship out all 25 as they sell – which might mean 25 different boxes, 25 trips to the post office, printing 25 shipping labels, and just the time involved to check those orders, prep them, etc. With FBA, you'll get home from the store and go into Seller Central on Amazon and say that you want them to provide the shipping and customer service for your order via FBA. They'll tell you which fulfillment center(s) to ship it to, and you make one trip to the UPS store or get a pick-up service and ship all the goods at once. Then, as items sell, Amazon ships them to the customer and you just get an email letting you know that they've shipped an item you sold. Yes, you pay additional fees for pick/pack and storage for Amazon to do that service, but I've always felt they are very reasonable and factoring in the cost of buying your own materials and the value of your time to fulfill your own orders, I believe you save money with FBA in the end. My wife hates clutter. When I used to sell stuff on eBay I had products laying around everywhere taking up space and causing stress in my home. As a result, I would consciously buy less stuff because I really didn't have room to store it or didn't want to hear about having 200 unopened board games sitting in my dining room! Amazon FBA makes space a non-issue, allowing you to scale. Now if you find a killer deal – go ahead and buy every unit in the store. You can simply run home, find out where Amazon wants you to ship it, and then have your inventory boxed up and out of the house before bedtime. Another benefit of FBA is that Amazon handles the customer service after the sale. In particular, when a customer wants to return an item they can do that by sending it back to Amazon. Occasionally customers will contact you directly, but not having to deal with questions about tracking numbers, delivery schedules, and even the refunds that come with a return is a huge win. You can sell almost anything on Amazon. There are a few restricted products/categories for FBA, but generally it's reserved for things that are potentially hazardous, insanely huge (like over 150 lbs. ), or in a category ripe for counterfeits like beauty/clothing where you'd have to put in a special application to sell those products. I've sold pre-packaged food, coffee, toys, novelty items, home goods, cleaning supplies (sponges, etc. ), teeth whitening strips, and more. While some people sell used books, I've always focused on selling brand new items that you can buy at a discount and then sell for retail price on Amazon. If the answer is “yes” then I'll buy it and send it in. As far as margins go, I heard a good rule of thumb for retail arbitrage from Chris Green who literally wrote the book on Retail Arbitrage that a simple way to think about it is the rule of 1/3. You can roughly figure that the cost you are paying should be about 1/3 of what you can sell it for on Amazon. Then Amazon will get roughly a third in fees, and you'll keep a third. So like an earlier example, if I'm buying some teeth whitening kit for $10, I'd like to see it's selling for $30 on Amazon. Obviously there are plenty of variables that go into these numbers. For instance, the heavier and bigger an item is the more it will cost to ship to Amazon and the more you'll pay in FBA fees. So the best way to get accurate projections is using a tool like Scoutify from Inventory Labs. I'll show you how it works a little later in this post, but basically it's an app for your phone that you can scan an item in the store and quickly see how much it sells for on Amazon and what your projected profit will be. I'm pretty much out of the arbitrage game now that I've started creating and selling my own branded products on Amazon, so I'm happy to share some real examples with you of things I actually found and sold for a profit via Amazon FBA. The very first thing I sold on Amazon was a box of Starbucks K-cup Coffee. I found it at Sam's Club for $36 and at the time it was selling for around $55 on Amazon. Although those margins aren't very good at all, the sales rank was up around 2,000 which means that it sells like crazy. So I bought a few boxes, sent them into Amazon and profited about $5 per box. On that same trip to Sam's Club, I found another interesting product which was a “one time buy” AKA not something they have in the store all the time. It was this Sharper Image Foot Massager. At the time it was selling for $48 at Sam's and on Amazon it was only sold by non-FBA third party sellers, with the lowest price being around $80. I bought a couple of them and priced it at $84 but because I was the only Prime seller, I quickly sold both units and netted just over $10 per sale. Now that I had a taste of success and made about $50 profit on my first trip to Sam's, I went a little crazy. I went back with credit card in hand and bought every Sharper Image Foot Massager they had left. My total was right at $1,000 for 20 massagers. I filled our SUV to the brim, bought some big boxes at Walmart and shipped them all into Amazon. This time, I started testing the theory that people would pay more to buy from an FBA seller. Rather than pricing at $84, I jumped it up to $99. Much to my surprise, I still had the buy box (meaning I was the default seller when someone clicks the buy button) and I kept selling them pretty quickly – even though there were still other non-FBA sellers who were priced at $80. Even though I was making $25 profit at $99, I ended up jumping my price again when I was nearly sold out to $119 and sold the last few units at that price – a full $40 more than they could have paid for the exact same, brand new item from a non-FBA seller. That's the power of FBA. In the end, I made about $450 profit on my $1,000 spent. Earlier when I was answering the common question from a skeptic “why would anyone pay that much?” I mentioned that one reason is because not everyone has access to the same products at their local stores. If you want something and you can't find it locally, you'll probably go Google search that item. When you do, you'll probably find an Amazon product listing sitting right at the top of the results. Since Amazon has a high amount of trust, many people won't bother clicking elsewhere and just go to Amazon and confidently buy what they want. Living in Cincinnati, OH we have several local restaurant chains that sell their products in our local stores. One example is Skyline Chili which is the thing that everybody tries when they visit Cincinnati. For those that love it, the odds are they are out of luck on buying more when they get back home – unless they buy it online. 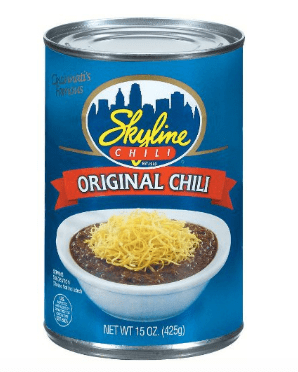 I used to buy packs of 4 cans of Skyline for around $10, and at the time they were selling for about $28 on Amazon which was a consistent $7 – $8 in profit per sale. Another notable local place is Montgomery Inn, famous for their ribs and barbecue sauce. I used to buy this 2 pack of sauce from Sam's for around $5 and sell it in the high teens on Amazon. Another example of a place that has national demand with limited local availability is Trader Joe's brand products. The small grocery chain has a cult-like following and they don't sell their products online, so if you look on Amazon you'll find plenty of people willing to sell you Trader Joe's products at a marked up price. Perhaps some might frown on this practice, but the reality is that if someone really loves Trader Joe's shampoo which sells for $5 in the store but their closest store is 200 miles away, they might decide to pay $15 for a bottle of it and have it delivered to their doorstep. Here are examples of Trader Joe's products that sell on Amazon. Depending on where you live, you may have similar products that have a wider demand than they do distribution. If so, the odds are that many people who would buy that product but can't are turning to Amazon to find it. If the numbers work, it might be a great way to break into retail arbitrage. While there is no magical store out there to find the best deals, some of the places I frequented were Sam's, Target, Big Lots, TJ Maxx (for toys), and then just any other random big box store I'd find myself in and spot a suspiciously good deal. If it sounded like a good deal, I'd pull out a scanning app like Scoutify and see how much the product sells for on Amazon. While most of the things I sold were found in local stores, I did find some deals online that I was able to buy and turn around on Amazon for a profit. In fact, one of my favorite stories was a box set of books that I actually bought from Amazon and then sent them back in to sell on Amazon as a third party seller. Yes, I was a frequent visitor of DealNews.com which is a deal finder/curator that highlights big sales on products. They showed a deal for an Ivy and Bean box set that was normally $99 selling for only $9 from Amazon. I used the CamelCamelCamel price tracking tool to verify that the price really had been $99, plus saw that all the individual books in the set were selling quite well too. I ordered 25 sets of books, and got them from Amazon 2 days later. I opened them and did the required FBA labeling, then shipped them right back to Amazon in the same boxes they had arrived in. As suspected, Amazon raised their price back to $99 so I ended up selling my sets for $49 since it's really hard to compete head to head with Amazon when they sell a product too. It took several months, but I sold all 25 sets and made over $25 profit per set. Another really cool way to make easy profits is flipping used textbooks via Amazon's trade-in program. The biggest difference between this and what I just shared about the kids book set I bought and sold on Amazon is that with textbook arbitrage you know ahead of time how much profit you'll make. There are tons of individual sellers listing used textbooks on Amazon, some at really low prices, and many times you can buy that cheap textbook and then turnaround and trade it into Amazon for a much larger amount. Since Amazon lists there trade in price, there's a actually a pretty cool hack for finding these kinds of deals very quickly. FBAMaster has a tool called TexTrader that searches Amazon for you and lists all the profitable textbook deals. It's pretty slick – click here to see how it works. I'll skip past some of the obvious basics like signing up for a seller account with Amazon. Once you've got that in place and decide you're going to give this a whirl I'd suggest upgrading to their Pro Seller Account for $39.99 per month. This gives you access to additional tools and it saves you $1 per transaction in cost, so if you sell 40 or more products in a month it is a no-brainer. The pro account is also needed to use helpful third party tools like Scoutify from Inventory Lab which I mentioned earlier. I'm telling you that a scanning app will save you so much time and hassle when you go hunting for deals at the store. Sales Rank: While no one knows the exact formula for this, the higher the sales rank indicates that the product has been selling well recently compared to other products in the same category. The rank has been known to fluctuate over time, but here is an excellent chart that gives you an idea of what a good sales rank is in each category. Based on the chart, I can see that Skyline is likely in the top 15% of grocery items which is actually stronger than I'd expect. You can also check the aforementioned CamelCamelCamel (free tool) to track sales rank over time. Other Sellers: I've found the amount and type of other sellers to be extremely important when making a buying decision. The perfect situation is when you have a product with a high sales rank that has zero FBA sellers – only sellers in the “New” column on Scoutify. This was the case when I sold the Sharper Image Foot Massagers I wrote about earlier. 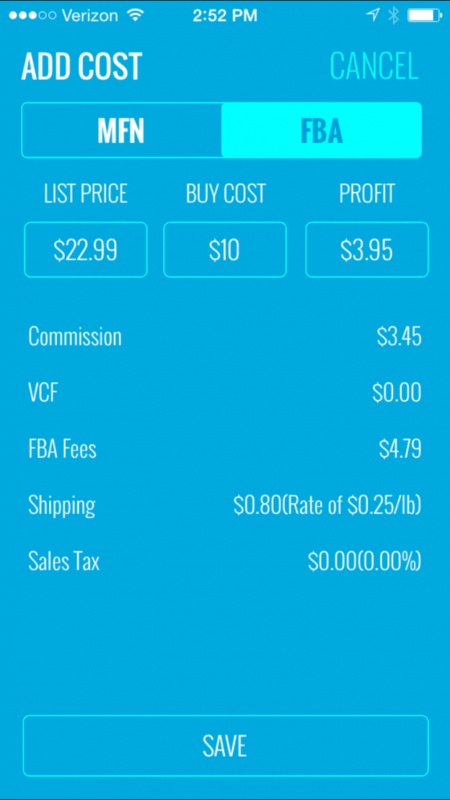 For our example above, there are 2 FBA sellers both priced at $22.99 currently that I'd have to compete with. In some cases, you'll see a small “a” to the left of an FBA price which indicates that Amazon sells the item. If Amazon sells it, do yourself a favor and move on. Situations like my Ivy and Bean book set are very rare, and you won't often beat Amazon on price. Another situation I avoid is having a bunch of FBA sellers. 2 sellers is no big deal, but if you see 5, 6, or even more FBA sellers then you better make sure you are getting a great deal on that product. What tends to happen is if another seller buys Skyline Chili they'll decide to get cute and price it at $22.95 to undercut the other sellers by .04 in hopes of winning the buy box. The problem is, thanks to automated repricing tools you'll find that one of your competitors drops to $22.89 within a few minutes. Then another seller will jump down to $22.49, etc. This little pricing war begins what I call “a race to the bottom” where nobody ends up making any money. If I did choose to buy the Skyline shown above, I would come in and just match the price of $22.99. The odds are that the other sellers will stay the same, and you'd each get your chances at the buy box – meaning you shouldn't have any issues selling your inventory. If I were doing this now, making only $3.95 per sale – probably a best case scenario – wouldn't be worth it to me – so I'd keep looking for other products. There are only 2 FBA sellers who are selling the product new (indicated by (N)) and they are both third party sellers and priced close to $56. If I bought the set for $9, I would stand to make around $31 profit if I matched their pricing. Obviously, this would be a deal you should jump all over. Scoutify is part of the Inventory Lab's suite of products which we use for our Amazon business and highly recommend. Their reporting tools on your sales are WAY better than the reports you get from Amazon. Can I Lose Money Doing This? Like anything else you do, there is risk involved. However, the thing I love about selling on Amazon is that you don't have to worry about driving traffic the stuff you're selling because Amazon is just a monster. If people are looking for the product you're selling online, there is a pretty good chance they'll end up on Amazon's site at some point – which gives you a really solid opportunity to make money selling things there. Avoid Overly Competitive Products. To be safe, if Amazon sells the product too – don't buy it. If there are 5 or more FBA sellers and your margins are tight – don't buy it. While sometimes the race to the bottom is unavoidable, I'd encourage you not to be the one who starts it. Just match the lowest FBA price and exert a little bit of patience and you'll sell through. Avoid Big and Heavy Products. Set your mental filter to look for things that are small and light when you are scouting deals. If you find some weight bench for $25 and it sells for $75 on Amazon, that's probably a bad deal. You'll pay so much to get it there and then so much in FBA fees that your profits will quickly disappear. It's also more expensive to store big items, so the longer it sits the less you make. Go Big or Go Home. When you're first starting out, you tend to be a dabbler. “This is a great deal so I'll buy 2 of them, 3 of these, and then 1 of this other product.” While that's ok at first, once you've made some sales and have a little confidence then you should really start going big when you find the best, no-brainer deals. If you find some crazy sale at Big Lots on a product that sells well on Amazon and the margins are there, drive to every Big Lots in town and buy all their inventory. You might get some odd looks, but who cares. Create Bundles. Did you know that you can add new products to Amazon? At some point, it may make sense to buy a couple of related products, like a candle and a diffuser, and package them as a new product. Here's a helpful article on how to do that. Even if you don't create bundles new, look for listings of products that feature different quantities. For example, the Montgomery Inn barbecue sauce I sold got very competitive for the 2 pack. However, there weren't nearly as many sellers selling the 6 pack. So I would buy 2 packs at the store and use shrink wrap to turn them into a 6 pack. This left me with better margins and less competition. Honestly, the best thing you can do is just get started. Set up a seller account, do a free trial of a scanning app like Scoutify and go to the store. Most people won't get rich doing retail arbitrage, but it is a fun, legitimate way to make a meaningful amount of extra money. 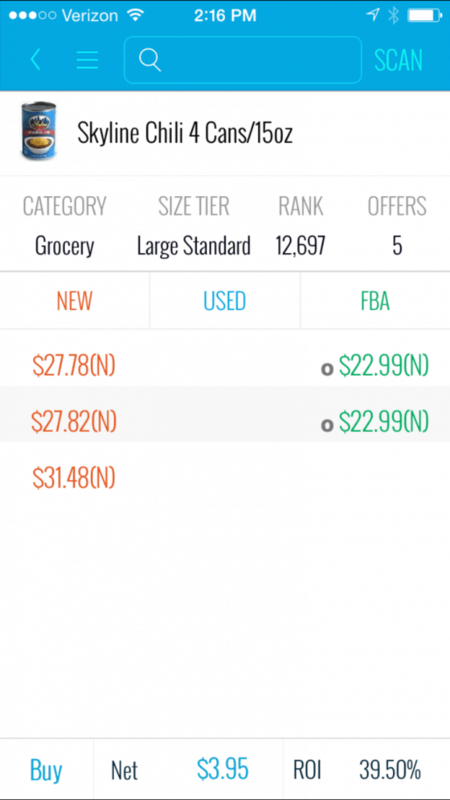 If you're thirsty more more information about retail arbitrage and FBA selling in general, here are some things to check out. Nick Loper's First Shopping Trip – Nick of Side Hustle Nation shares his experience using a scouting app, searching for deals, and making his first sales on Amazon. CamelCamelCamel – Although I hate the name of it, make sure to bookmark this site. 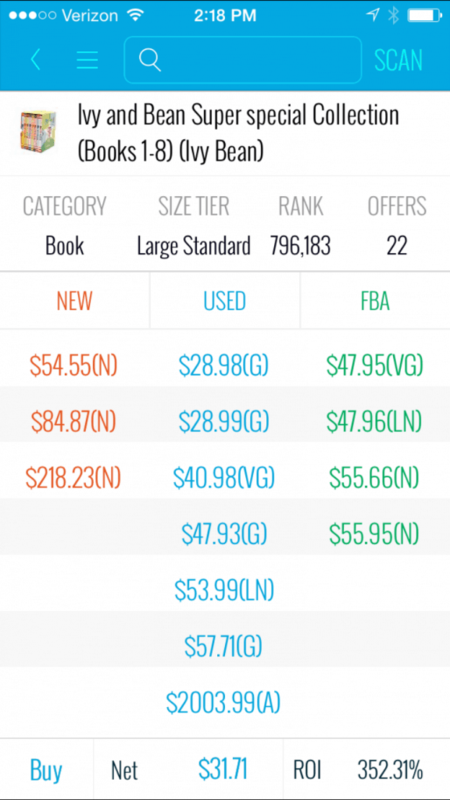 If you're feeling gun shy, their historical data on prices and sales rank are super helpful. Inventory Lab – I gave a demonstration of their Scoutify app, but if you are really diving in to selling on Amazon then I highly recommend checking out the entire suite of solutions at Inventory Lab. SellerEngine Blog – SellerEngine also sells Amazon tools like a scanning app and a repricing tool, but they also have a really helpful blog worth reading that covers many topics to help you succeed. Spencer's FBA Business – Once you've mastered retail arbitrage, the logical next step is to look into creating your own products and selling them FBA. If you are the creator and the manufacturer of a product, you don't have to worry about pricing wars with competitors. TexTrader Chrome Extension– Quickly finds textbooks on Amazon that you can buy from 3rd party sellers and then trade in to Amazon for a profit. Everytime I read a post like this, I get inspired, go to amazon.in but to my display they ask you for your business registration number which is a time and money consuming process. Does amazon in US also require you to have a registered business or can anyone register as a seller like one does as a customer ? Hmmm – In the US that is/was not the case for me. I used my own SSN as opposed to a business tax ID when signing up to sell as an individual. Hey Jake, thanks for the great article. I have a question about selling in the states. I live in Canada and the market is pretty small here. Do you know any resources that show you how to sell internationally? Hi Isaac – I don’t have anything offhand to point you too, but I know we now sell some of our products into overseas markets – we just had to ship our inventory to those fulfillment centers. Maybe you could do the same and sell in the US market. However, that would probably only make financial sense if you were doing your own branded products and might really cut into your margins if you were just thinking retail arbitrage. Didnt amazon announce this week they eliminating sellers that arent authorized resellers and requiring many sellers that are doing retail arb to remove their inventory from fba? Hey Brian – I hadn’t heard that, do you have a link to where you saw that? My initial thought is that you’re selling the actual product in the listing, like a 4-pack of Skyline Chili from my example, I don’t know how/why they would stop you. Got it – yeah it sounds like right now it’s limited to very big brands and my guess is that it’d be a long time before they could practically enforce that for every brand of product on Amazon, so I don’t think retail arbitrage is going anywhere anytime soon. That said… I do think retail arbitrage should be a stepping stone to selling your own brands of products because that is much more scalable IMHO. What about collecting taxes? I understand that with FBA you don’t know which states your merchandise is being warehoused in, and since warehousing product counts as nexus, you’re on the hook to collect those taxes. Hi Dennis – that’s a very complicated issue with many different opinions. The best resource I’ve found for state by state information is Taxjar.com if you’re doing research on it. Hi Jake,I can’t do RA in Australia as we do not have amazon warehouses.Any thoughts on Online Arbitrage and mentors.Cheers Brian. There is a way to make retail arbitration from outside USA? Hi Jake,l am inspired by this technique and would have love to get my feet wet with is greate idea. But l reside in Ghana where Amazon doesn’t ship to. How do l apply this principle in a third world country in my case Ghana where online shopping is now sprouting. Very inspiring for beginner guide to sell on amazon. Thanks for sharing this and keep up the good work. I see several are asking about the possibility of doing this internationally. I’ll be honest that my experience was only living and selling in the USA – so I don’t have much concrete info to give you. I’d say to check out Amazon in your country and see if they offer FBA services to individual sellers. If so, there may be a chance to do it where you live. If not, you’re probably out of luck with this particular strategy. Thanks for the information Jake. However I have run into a problem on Amazon. When you are trying to list certain products especially ones like “grocery & gourment foods” they ask you for invoices in order to get approved. If buying them from a store like Big Lots or even Trader Joes. What are you submitting to get approved? Thomas – interesting, I found this list of known restricted brands based on user experience: http://thesellingfamily.com/the-known-brands-that-are-not-allowed-to-be-sold-by-amazon-third-party-sellers/ – I never sold anything that I had to get approval for, so if it’s making you show some approval for Trader Joe’s especially, that would be new since I was selling it FBA. If Trader Joe’s is out, the principle of selling regional brands would still hold true if there are any you can take advantage of. Thanks @Jake for writing this epic post. I love the real examples that you have provided in this tutorial. Really, learned too many things. Now I can say that I can sell products on Amazon. Thank You. I have sold a little on ebay. This sounds way easier! I have sold a little on ebay. This sounds way easier! !